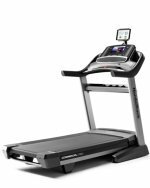 We purchased a Freemotion 750 treadmill in September 2011...the treadmill has NEVER worked consistently since the day we took it out of the box. Some days it works, some days it doesn't. We have attempted to resolve this issue directly with FreeMotion customer service, however we have been unsuccessful in getting a suitable resolution. They have ordered replacement parts and and put me in touch with a repair tech, however some of the parts are on back order with no indication of when they will be available. They initially suggested my husband take it apart and check the wiring...seriously? So here I sit with essentially a brand new treadmill that I cannot use. I am completely frustrated as I should NOT even be having quality issues three months into owning this piece of equipment. 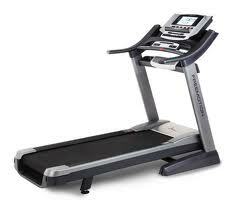 I previously owned a $400 Walmart treadmill for seven years, ran miles on that thing and it never gave me a day of angst. Worked like a dream the day I sold it at a garage sale. Quite unlike this product which has given us nothing but grief from the day we unpacked it and powered it up. I have never owned such an unreliable, temperamental piece of equipment.....HUGE DISAPPOINTMENT!! UPDATE: The company offered to send out replacement parts and gave me contact information for a repair technician, however it is almost two months later and I am being told the parts for the Freemotion 750 are still on back order. Any time I attempt to call customer service, I am on hold for literally hours...my phone battery actually went dead waiting to speak to someone. So essentially here I sit with a $1300 piece of equipment that I have not been able to use since the day it arrived. We bought a FreeMotion 750 Treadmill (M: SFTL12510-2, SN: D6207702999) back in November 2012 for a customer but it has developed an issue in which the speed cannot be adjusted. Can you advise on what can be done to solve this problem. Our Parent Company in Florida did the purchasing for us, we are in Trinidad. We bought the Freemotion 770 treadmill with iFit. This is absolutely the most unintuitive technology I've ever had the displeasure of using. While the treadmill itself seems sound, the whole iFit experience has been pure frustration from day 1. The screen itself has no scroll pad so you are constantly tapping in commands that you don't want simply because the screen reacts to your initial touch. Having said that, at times you can tap 5-6 times before the screen accepts the command. Words overlap on the screen, making it hard to read. There are a bunch of preset Google map routes but no way to actually run them. At least no way that we can figure out. Logging in is usually an adventure. Most times we get an invalid attempt prompt. Therefore no access to maps, program etc. I have created 3 maps but the system will allow access to only one, can't run the other two. I can see them, but can't run them. I have been able to run from a created map 3 times in total. The first run went well, the second run had a bunch of frozen screens, the third run had the map moving along but the treadmill wasn't. Couldn't get the belt to go at all. The speakers on this unit must have been taken from a 1980's K car. It's like listening to an old AM radio. Our next step is to call iFit. The hours of service aren't the best so it's been a challenge to make time. Flaman Fitness, where we purchased the treadmill, has been no help whatsoever. Not only have they not followed up on our concerns, they don't even know how to use the iFit technology. The store doesn't even have WiFi for a proper demonstration on how it might work. "We sell $700 million dollars worth of these types of treads a year, I am sure you can find plenty of bad reviews, squeaky wheel gets the grease. I can tell you these treads work well, and the tablet is always updated with firmware. I am guessing you are not one of the first people in line at the Apple store?" Unless you like to be frustrated, I'd pass on the Freemotion 770 treadmill . I purchased a Free Motion treadmill less than 30 days ago. Approx 1 week after buying the incline went out. I called Customer Service and went thru troubleshooting issues nothing worked. Customer service discouraged a service call until I tried replacing a wire to the incline motor (which may or may not be the problem). I am not mechanically inclined, that is why I paid for it to be assembled. I was told to try to fix myself first. Ok I don't have a choice, so I was to be mailed the wire.Two weeks later I am assured I should have it today.. 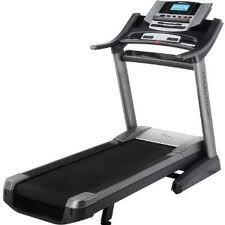 I still can't use treadmill since I bought it for training incline. The original Customer Service agent was frustrated that I didn't want to fix my machine myself and offered me a "lubrication" for the treadmill for my troubles. I have called and emailed. I also reached out to a Customer Service Manager, Adrienne Hunting. Please forgive me if I sound upset, but I invested over $2,000. in a treadmill and I can't use it. It's not even 30 days old. I read review from people and former employees. Dont trust Fitness Company Reviews ( I have emailed them as well asking that they take a "second look". A former employee code wrote they are trained not to authorize the $85.00 service call to fix equipment..Just Google and you will find it.